She had been wearing the 2fo Cliplite for a long time. Even while on alchemy. Butcher idk. Curtis is the man to reply! To your point though it could be just testing for ohlins or true shopping for suiters. 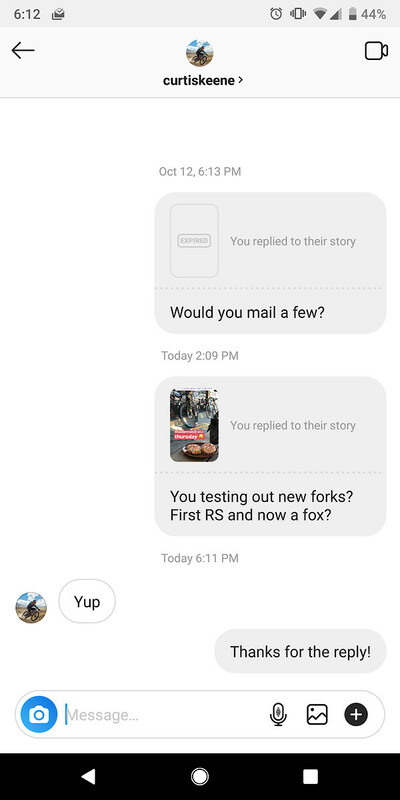 Seems like the Spesh boys are looking for new fork suiters? 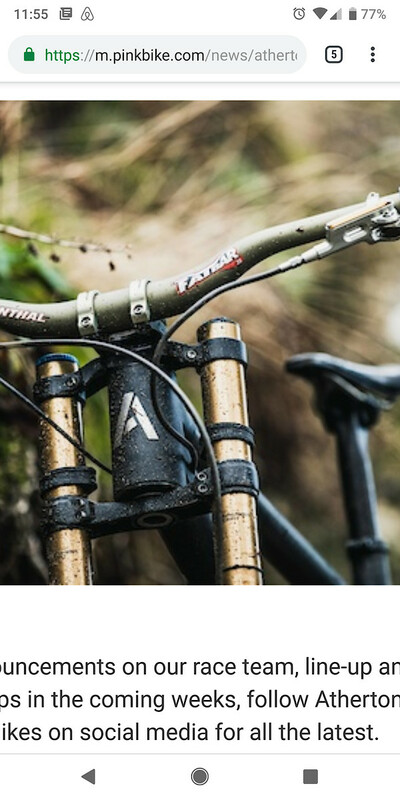 First we saw lyrik on keenes bike and now it looks like a fox? 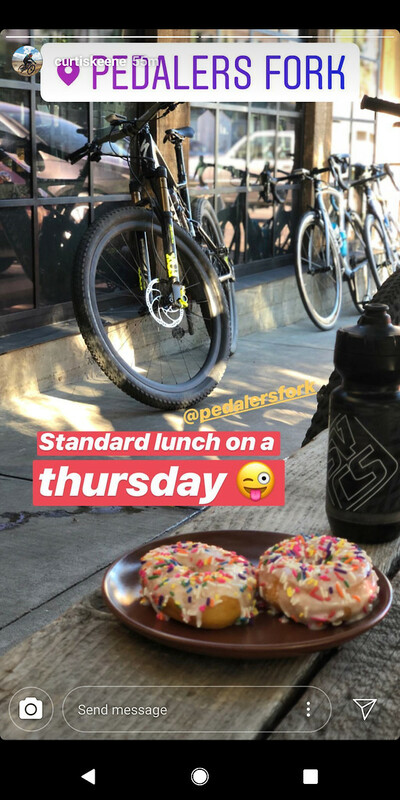 A little Google Translate suggests in her latest post that she borrowed it from an LBS and sits without a sponsor. 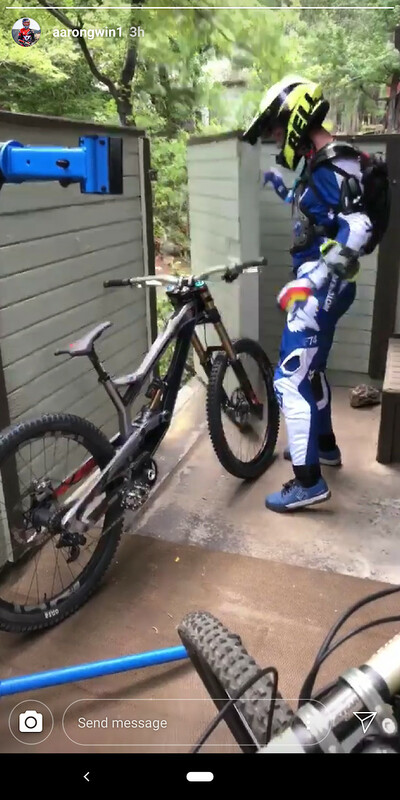 On Richies latest Story he was offloading some Yeti Kit. Could be nothing or could be something. This article was back from 2013? Gwin riding Magic Mary's on his mystery black Tues. Either he is switching tires or Onza doesn't quite have molds for a particular wheel size right now. They added the bottle studs I think mid 2017. Nothing else changed I believe. I don't know if you knew this or not buuuut, Eliot rode for Giant this past season. 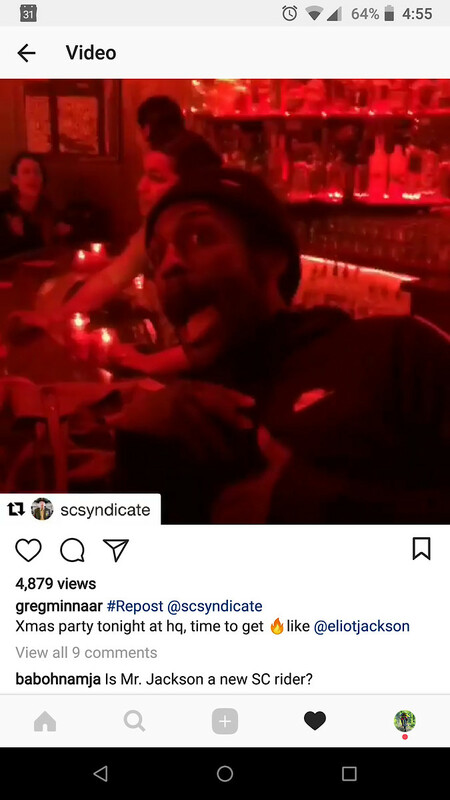 Elliot Jackson to Syndicate? Minaar liked the comment I asked.